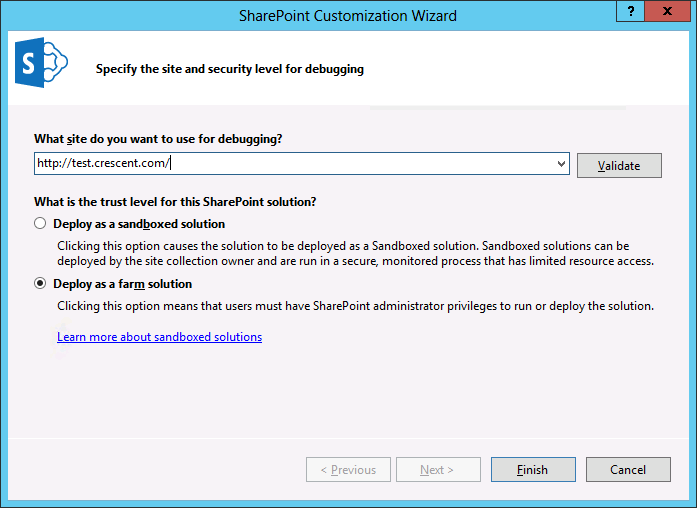 Choose: Office/SharePoint >> SharePoint 2013 - Empty Project. Name your solution and click on "OK"
Enter the site for debugging and choose "Farm Solution" (Doesn't matters even its a sandboxed solution too!) and click on "Finish" button. 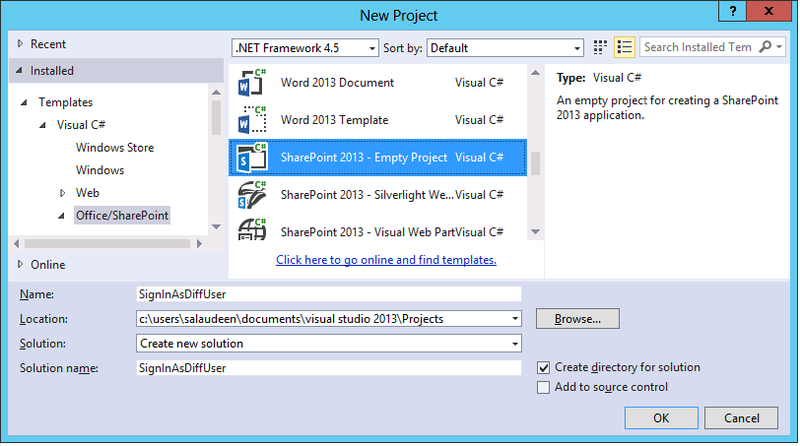 wait for Visual studio to create project structure. 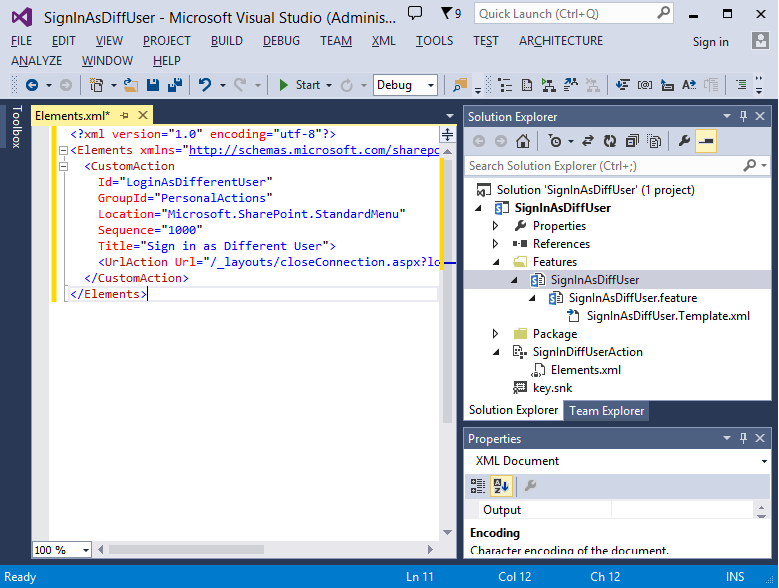 Now, in Visual studio, Right click the "Project" node from solution explorer window, choose Add >> New Item menu. Choose "Module"and give it a name. Click on Add. 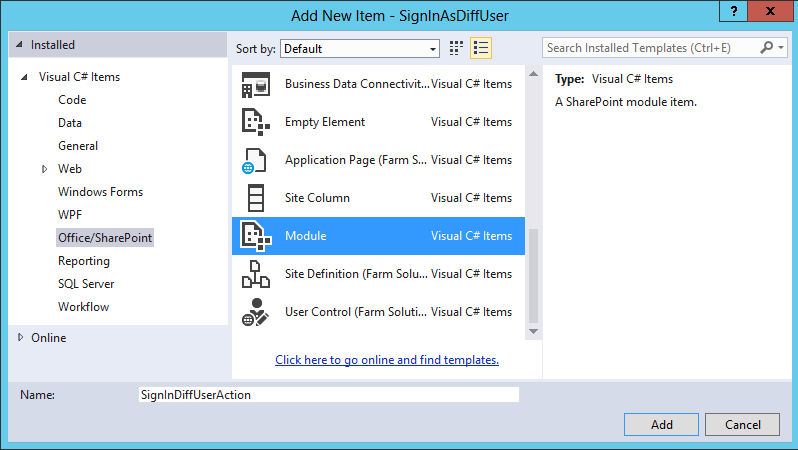 Now, Right click the Feature, "SignInAsDiffUser" from solution explorer and choose "View Designer"menu item. In the feature designer page, Give a name and description to your feature. Set the scope for the feature, I've made it : Site, So that it will be applicable for the entire site collection. Make sure the module we've created is included in the feature. 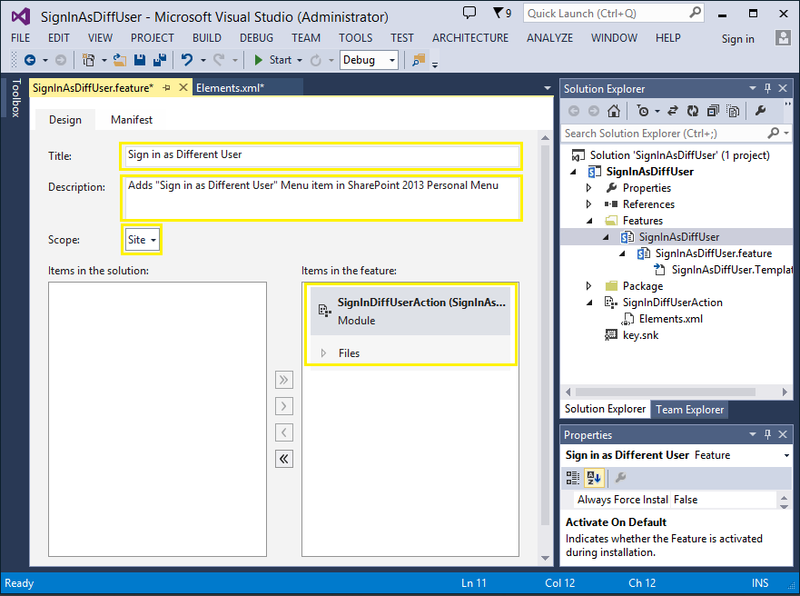 Right click the solution in visual studio, choose Deploy. This will automatically Build,deploy and active your feature. 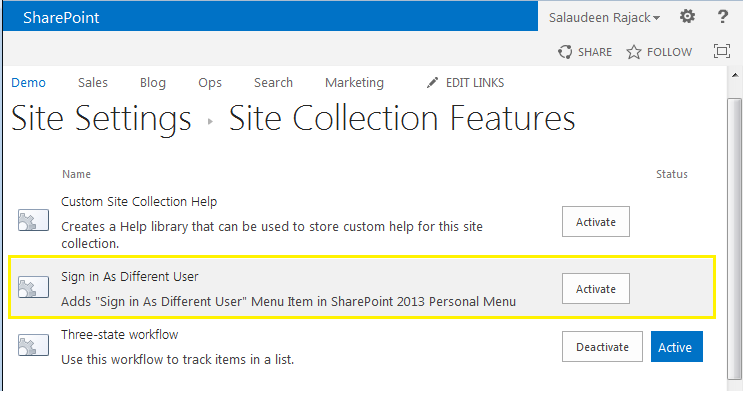 Go to site collection features and make sure "Sign in As different User"feature is activated. 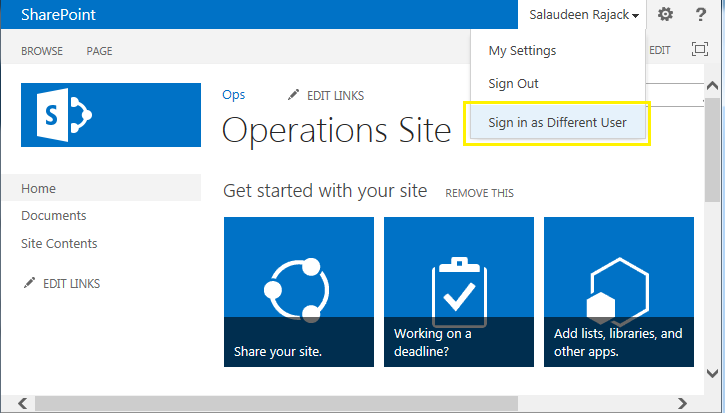 Now, You'll be getting "Sign in As Different" user menu item under your personal settings menu in SharePoint foundation /Server.